DETROIT - The Detroit Lions put together a poor performance in the season opener against the New York Jets. 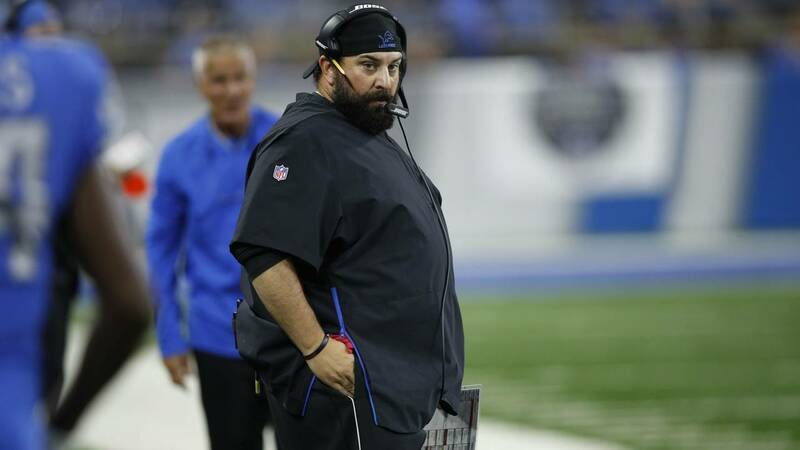 OK, that’s an understatement -- the Lions got embarrassed Monday night. Why were the Lions so bad, and why can’t they ever run the ball? "It's the same old Lions." "The offensive line is bad." "Matthew Stafford and Jim Bob Cooter are bad." But which on-field issue really soured the Lions' opener, specifically on offense? The Jets almost could have won the game without their offense last night, so Tuesday, I watched every Lions offensive play over and over to figure out really killed the Lions. After the game, there were quotes from Jets defensive players saying they knew what the Lions were going to run before the snap. But that wasn't the problem for the Lions. The problem was the Lions didn't know what the Jets were going to do, specifically along the front seven. The Lions' offensive line got dominated all night. Nobody struggled more than center Graham Glasgow, who simply couldn't block any Jets defender one-on-one. He was consistently blown off the ball and into the backfield by Leonard Williams and other interior rushers. Defenders were splitting Glasgow's double-teams all night. The penetration up the middle prevented the Lions from creating any running lanes. But Glasgow wasn't the only offensive lineman who struggled. Rookie left guard Frank Ragnow looked overmatched and unprepared in his debut. His struggles were highlighted on a pick-six in the third quarter. Stafford was forced to rush a throw when Henry Anderson blew by Ragnow with a quick swim move. That particular Ragnow whiff came in a one-on-one situation, but the Lions' biggest deficiency as an offensive line came in their inability to pick up on the Jets' stunts and twist. During the Lions' scoring drive after halftime, the Jets didn't run a single twist or stunt. But when there was any kind of movement up front by the Jets, none of the Lions' offensive linemen seemed to know their assignments. The Jets were in the Lions' backfield all night. It’s unusual for an offensive line to play so poorly but not give up a sack. The only reason they didn't record a sack is because Stafford rushed his throws all night. The Jets' pass rush deserves as much credit as the secondary for the first three interceptions. The fourth interception was on Stafford, who had time to step up in the pocket but forced a ball to Luke Willson, who was surrounded by three defenders. The ball was also behind Willson, so even if Darren Lee didn’t pick it off, Willson had no shot to make the catch. Is Jim Bob Cooter afraid to run the ball because he knows the Lions can’t do so effectively? Or are the Lions struggling because they don’t establish a running game? Is Stafford rushing his throws out of survival or because he isn’t as good as his contract and stats suggest? It's a "which came first?" scenario. The Lions were bad on defense and special teams, but offensively, they were downright embarrassing.